For every snake, there is a ladder, for every ladder a snake. I was given responsibility for diversity 15 years ago. The issues don’t seem to be much different. Why is progress so slow? 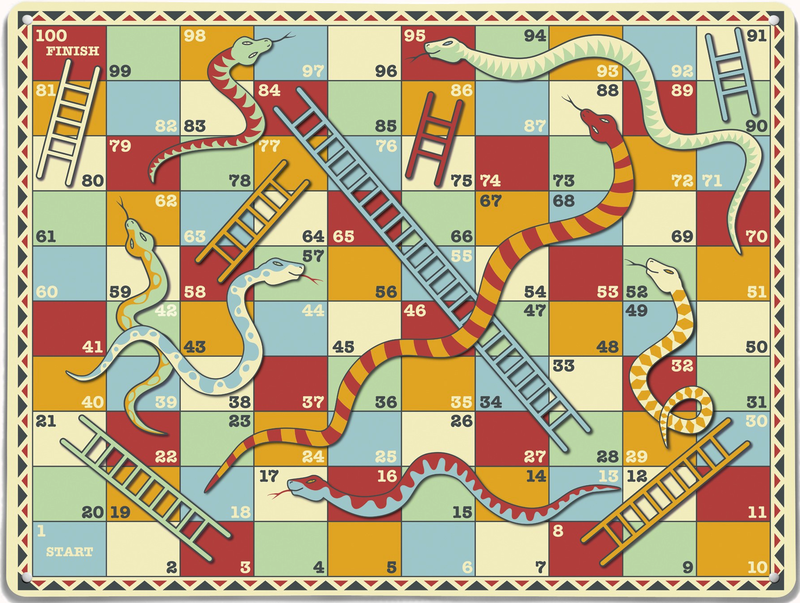 Mulling this over, I came to the view that organisations have been playing a game of snakes and ladders. Small victories, progress here and there, matched by and equal number of disappointments and setbacks. Unconscious bias training – it puts bias out there on the table & gives people the tools to name it and to change decision making as a result. Women’s leadership programmes – help women understand the need to be more assertive, find the right mentor & behave in a way that will help them progress. Upward mentoring – which can change the perceptions of those at the top & give them a better appreciation of those with a different experience. Women’s networks – to allow people to share experiences, pool efforts & amplify their voices to make change happen. Many of the ladders being erected do have pay offs. However, some are a little rickety & they are often not joined together. Many can only accommodate a few people at a time, with some people benefiting whilst the rest are being squeezed to death or poisoned by the snakes. And many of the ladders tend to be “initiatives’ which sit along side business as usual rather than being an intrinsic part of the way work is done. Every organisation is different, but in our work over the last couple of years we have noticed some common themes. Snakes in the grass, if you like, that hinder progress. Rhetoric over reality. Commitments are great but there is a danger that people assume what an organisation says on its website is always a reflection of fact. Not helped when multiple awards back up the claims. “The values on our website are great. It’s the street values that are not” wrote a contributor to the research, in a sentiment echoed by many others. Unsupportive line managers. Senior level commitment is one thing. A critical thing. But decisions that affect people on a daily basis are taken by line managers several layers down. If they don’t “get” the value of a properly diverse team & the actions required to motivate & retain people, progress will falter. Giving birth: At some point in many people’s lives, they become a parent. Many women – (and men but today it’s still more of an issue for women, like it or not) want to see their children in the week. Having young children is a temporary condition. And yet when people need work which fits with family commitments, which then puts constraints around the hours they can work or the distance they can travel, they become a “problem” to be accommodated & solved. Or not. More often, not. So despite this problem not being permanent, they leave, & in doing so sever all formal contact with the organisation. Part time = second class. A possible solution to the “problem” has been part time working. But people report that once they are “part time” they are seen as not being committed; not ready for promotion; not suitable for more challenging roles. People collude, accepting this as the necessary penalty for the “luxury” of working part time. “Luxury” being a misnomer because as we all know if you are working part time it’s often because you have a ton of responsibilities to attend do when you do finally get home. “Its a full time role”. What does that even mean in 2016? In a global economy things are happening 24/7. If people are working exceptionally long hours our contention is that the work has been ineffectively structured, clients’ expectations mismanaged, and work inefficiently organised within a team who should, especially given digital technology, be able to share out tasks in a way which reflects people’s skills & availability. “Clients demand visibility”. No. They don’t. The FINISH box is partner & life ends at 40. This particular snake is specific to consulting but may have parallels elsewhere. The assumption that everyone’s goal is to make partner & you need to be well on the way by 40 means that people who step off or step back in their 30s are written off. In an age where we are all going to be working well into our 60s and where some people mature and come into their own in their 40s and beyond (we’re thinking Robin Wright, Zaha Hadid, Martin Sorrell and others) this seems a travesty. Unlike the ladders, which are peripheral to business as usual, these snakes are particularly venomous because they are precisely that. Just the way things are done. So if you’re frustrated about your slow progress on diversity, maybe it’s time to try to unearth the snakes in your organisation.